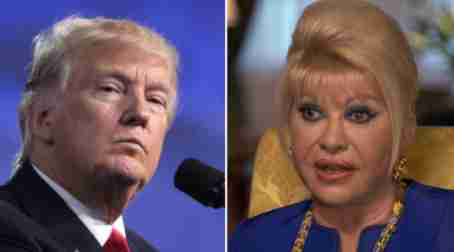 No matter how the world looks at him, Ivana Trump, President Donald Trump’s ex-wife has said that she remains good friends with the former businessman, denying claims he is at all “racist. ”Ivana, who appeared on “Good Morning Britain,” a programme hosted by Piers Morgan, was asked if she had ever heard him say anything that could “be construed as racist.”“Is he a racist?” Morgan asked. “I don’t think Donald’s racist at all. Sometimes he says these things which are silly or [that] he doesn’t really mean,” she said. “But he’s definitely not racist.”When asked why the president would tweet things that are controversial, Ms. Trump, 68, quipped, “who knows.”“He’s not going to change. I think the tweeting is not actually a bad idea.“The press changes every word you say, and they twist it; tweets come from his mouth,” Ms. Trump said.